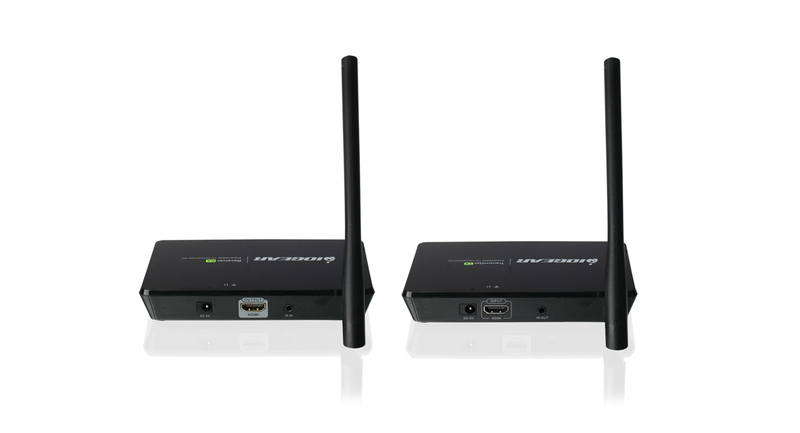 This dedicated wireless solution sets up quickly and doesn't require a WiFi network. 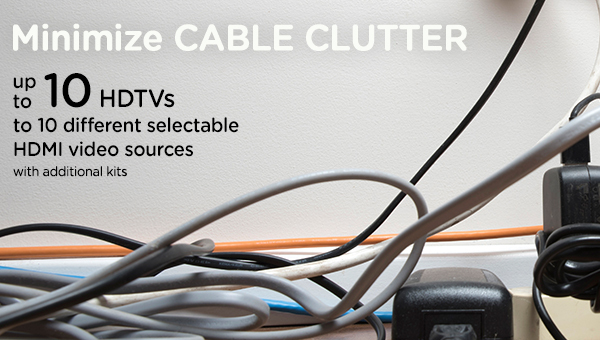 Connect a source device such as a cable box or satellite receiver, laptop or game console to an HDTV and transmit High Definition video and audio up to 150 feet through walls and doors. * With support for HD resolutions up to 1080p, you can eliminate your HDMI cables without sacrificing picture or sound quality. 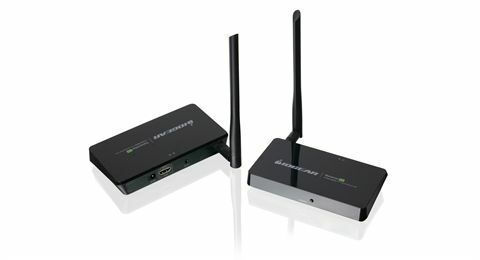 The Expandable Wireless HDTV Connection Kit allows you to connect up to three (3) HDMI TVs to one HDMI output source. Expand the system to connect up to 10 HDTVs to 10 different selectable HDMI video sources with additional kits or separate transmitters or receivers. 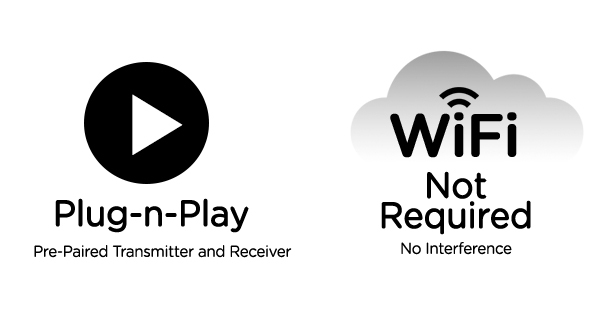 Enjoy a stunning audio/video experience with the convenience of wireless and the flexibility to connect your environment any way you want without the hassle and expense of wiring. 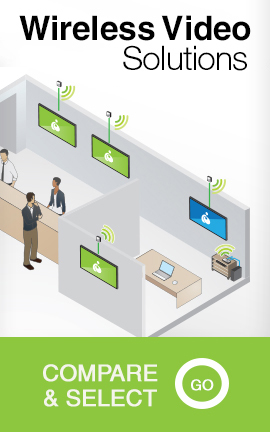 Setting up the Kit is hassle-free and does not require a WiFi network or complicated security configurations. 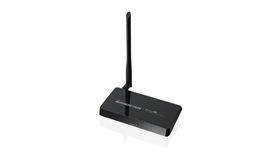 The Kit sends video utilizing advanced wireless technology through a dedicated 802.11ac wireless connection. 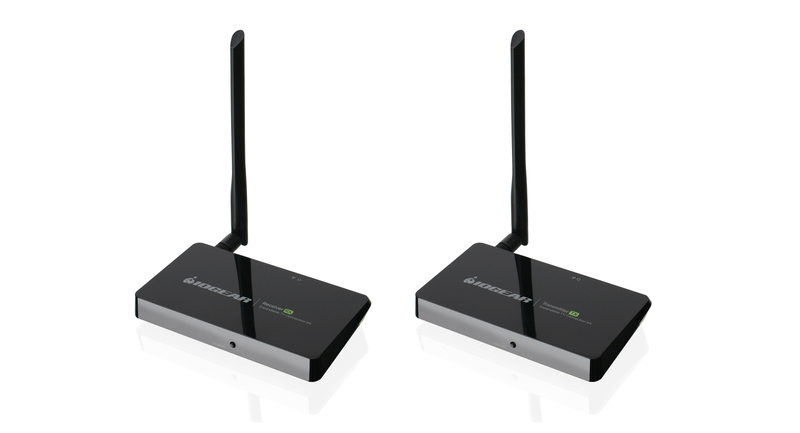 The included transmitter and receiver come pre-paired and ready with wireless security enabled. Ideally best performance is obtained using line-of-sight. Distances may vary depending on environment. Solid and non-porous materials such as steel, concrete, brick and glass (varies depending on coating and thickness) may cause shorter viewing distances or loss of signal. * Ideally best performance is obtained using line-of-sight. Distances may vary depending on environment. Solid and non-porous materials such as steel, concrete, brick and glass (varies depending on coating and thickness) may cause shorter viewing distances or loss of signal.